You are here: Home / Preschool Crafts for Kids / 40+ Valentine Crafts for Preschoolers -Easy and Fun! 40+ Valentine Crafts for Preschoolers -Easy and Fun! Valentine’s Day is coming. Are you ready to get crafty? With Valentines Day just around the corner, we thought it would be the perfect time to share some easy and fun Valentine crafts for Preschoolers. Today I want to inspire you to get crafty this Valentine’s Day…. I have listed many different Valentine craft ideas that are great for preschoolers, kindergarten and beyond. 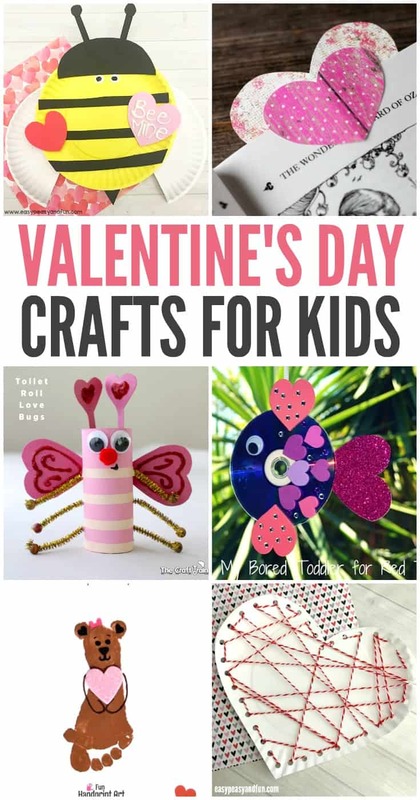 You can have fun and make crafts for your Valentine loves! Without much ado, Here are some of our favorite Valentine’s Day crafts for preschoolers, kindergarten and beyond! The Valentine Bears – Cutting Tiny Bites!